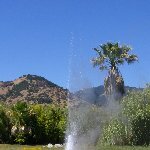 California is maybe the most popular state of the United States as it comes down to exciting road trips, great beaches and interesting cities. One of those cities would be without a doubt the city of San Francisco with its spectacular Golden Gate Bridge, frentic Chinatown and amazing beaches along California's Pacific Ocean. Just walking down the streets of San Francisco you'll find interesting markets, murals, neighbourhoods and great public transport with the real San Francisco cable car system which will take you up every hill in town. From the hills in the western parts of San Francisco you even see the legendary island of Alcatraz lying in front of you. The curious tourists can visit Alcatraz by taken a tour up the island and explore its prisoners past. Today Alcatraz is a historic site which attracts over a milion visitors every year. San Francisco is known as one of the welthiest city's in the United States and the home of Internet as mayor players like Google managed to blossom here like nowhere else. Beaches and parks make of San Francisco not only a good working environment but also a great holiday destination. Popular spots on the coast include Ocean Beach, Baker Beach and the Golden Gate Recreational Area which is a concentration of beaches, parks and playgrounds. We decided to explore the California region from San Francisco and after spending a few days in the city walking through the neighbourhoods, visiting Alcatraz and relaxing a bit on the beach we headed in direction of the northern hinterland and visit the town of Calistoga. 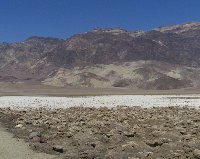 Driving back to Las Vegas later that week we made a stopover at the desert of Death Valley National Park. The combination of colourful sand dunes and flat salt lakes makes this place quite mystical. Do keep in mind when you want to visit Death Valley that this place is situated in the Mojave Desert and is known for being one of the driest and hottest locations in the United States so bring enough drinking water and something to cover from the sun. Did you enjoy California and the streets of San Francisco and have you been on a holiday in San Francisco, United States? What to do in San Francisco: If you're visiting Death Valley keep in mind to bring enough drinking water.